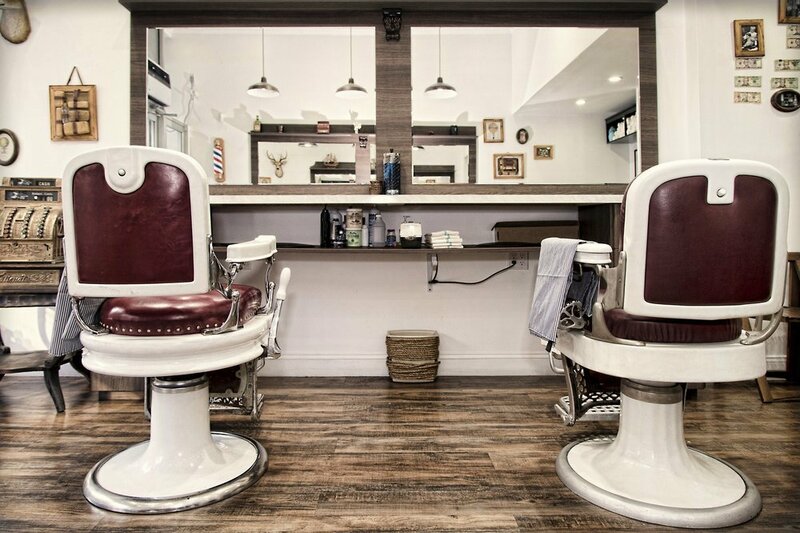 With a billiards lounge, clubroom, cafe and a revolving collection of art, you'll find plenty of gentlemanly things to do at this men's salon. 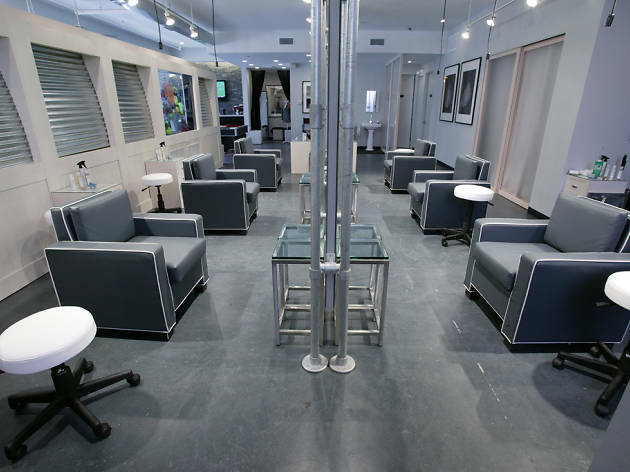 In fact, it kind of feels like a private men’s club: Memberships can be bought for $950 and that includes all full-service visits for one year, and more. What's in a full-service treatment? 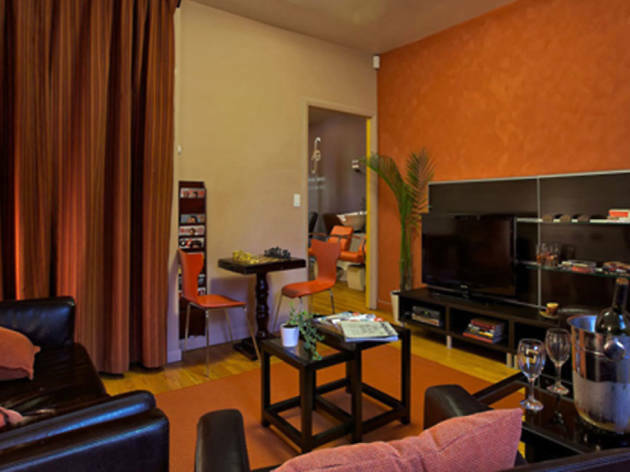 A shampoo, scalp massage, conditioning treatment, hot towel, haircut, manicure, shoeshine and drink. Nonmembers can get the same rigmarole for $75 per visit (but after 12 visits, a membership pays for itself). 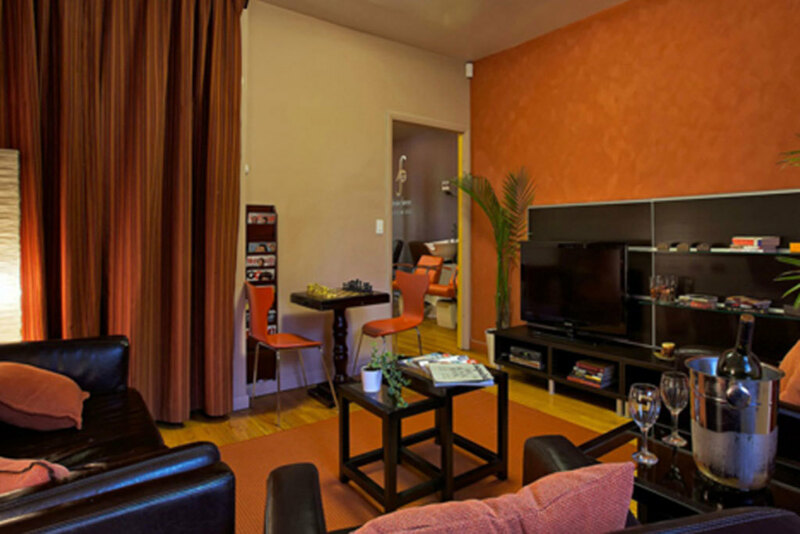 Additional services like hair coloring, facials and massages can all be purchased a la carte. 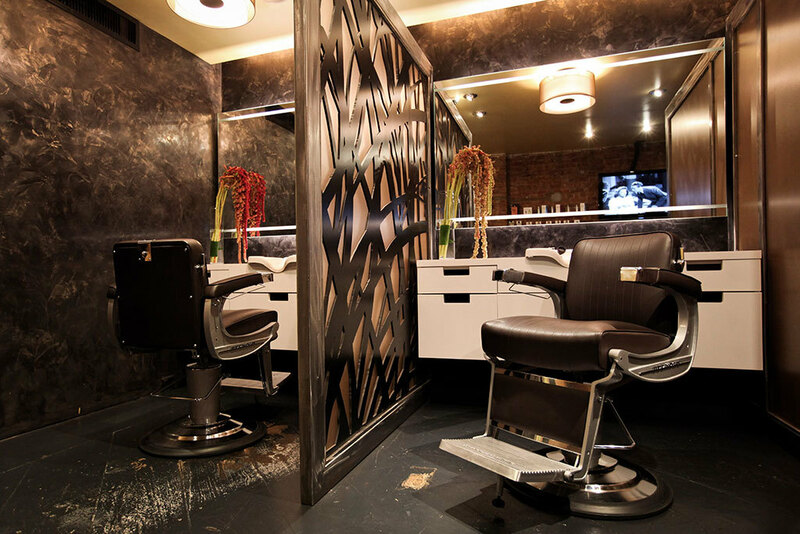 Specifically designed with men in mind, this speakeasyesque salon keeps it simple: All appointments include a haircut, scalp massage and shampoo and a hot towel ($85–$140). The staff is small—and entirely female—with just three stylists at the 56th Street and Seventh Avenue location and five stylists at the 52nd Street and Lexington Avenue branch. 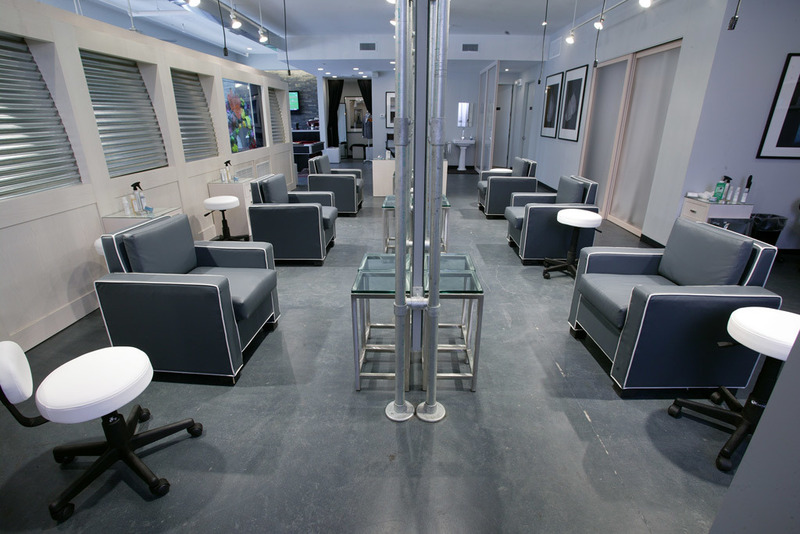 The salon is tiny too, so you don’t feel overwhelmed by the hustle and bustle that normally plagues large salons. Sit back, relax and don’t forget to grab yourself a cold (free!) beer from the fridge. 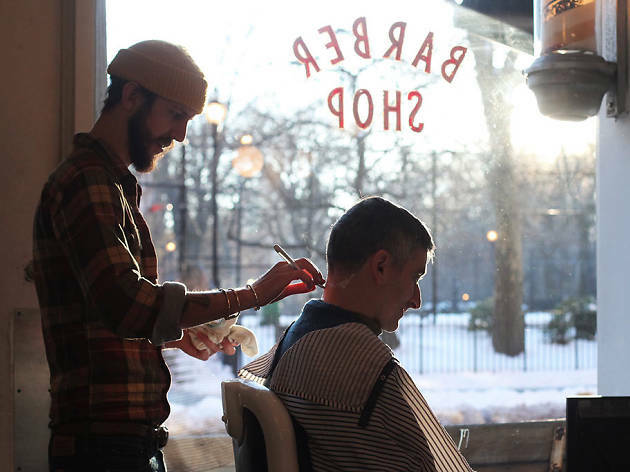 While this sleek midtown salon offers the works—haircuts ($70), manicures ($28) and pedicures ($55)—the main draw for the neighborhood’s businessmen is a shave. 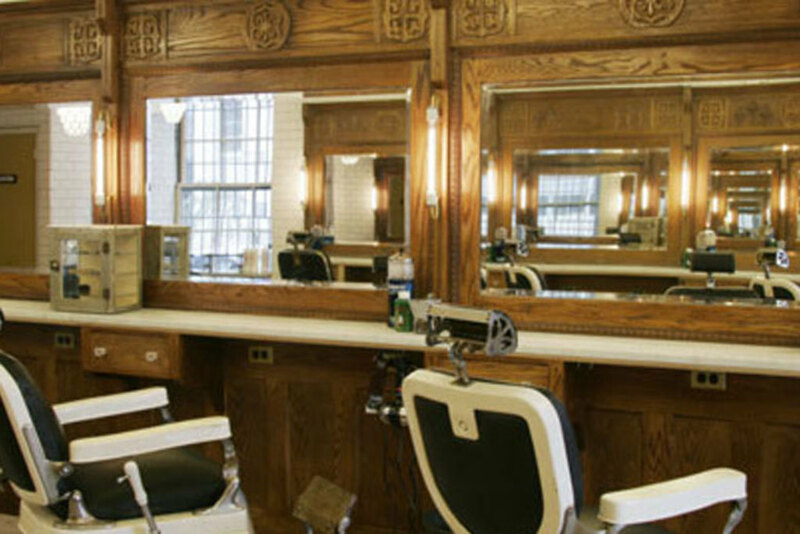 Using exclusively eShave products, a master barber treats those whiskers to a beard trim ($18), an old-fashioned straight-razor express shave ($45) or a scalp and facial treatment with a deluxe shave ($60). No matter what treatment you’re getting, don’t forget to care for your shoes—a shine at this spot will only set you back $4. For several years, affable St. Lucia native Adrian Fanus has been running this stylish, modern space on the top floor of a Clinton Hill apartment building. His no-fuss treatments cater to a mostly male clientele (Fanus counts pro ballers Grant Hill and Nate Robinson as regulars) and include haircuts with a shampoo and condition ($45), hot shaves using Beardspoke ($30, deluxe $50), facials by Charlene New York ($40), manicures ($20) and pedicures ($30). Before services, patrons can relax by sipping a complimentary glass of vino and watching a game on a flatscreen TV in the comfy back lounge—you can even request a Pandora playlist to listen to during the treatment. Martial Vivot's namesake salon resembles an intimate cocktail hour more than a conventional barbershop: The waiting room is highlighted by exposed brick, a flat-screen TV and a silver tray offering the finest top-shelf liquors, and just past the trio of partitioned styling stations sits a chic backyard. The haircuts are brisk, precise, and punctuated by rigorous shampooing and an elaborate manicure. Customers can choose between a cut by the master himself ($320) or a more wallet-friendly one by another stylist ($125–$215). Lots of women come here, but the men come in droves for the salon's signature perfect-yet-messy look. The stylists cut based on your lifestyle (i.e., how much/little time you're willing to spend on your hair) verses the latest trends in your favorite men’s fashion magazine. 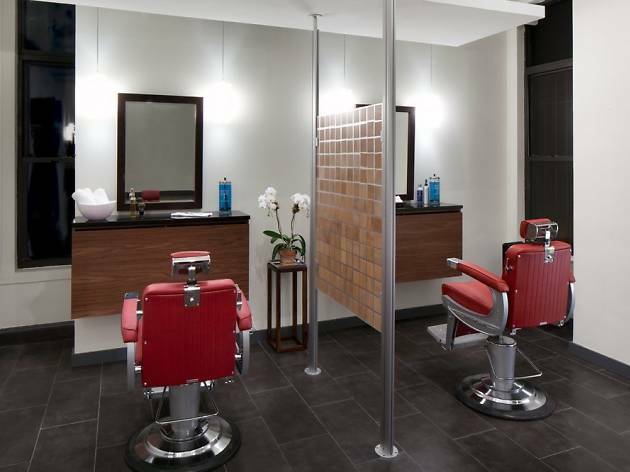 This way, you'll be able to re-create that just-left-the-salon look at home. Cuts range from $85 to $200. 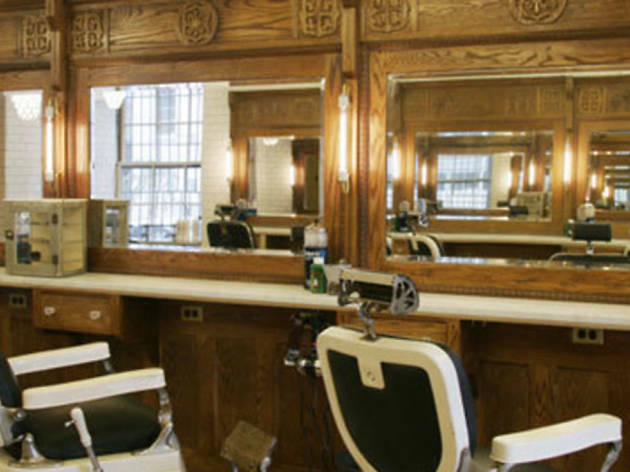 This tiny yet bustling gentlemen's haven is hidden in the back of refined clothing shop Freeman's Sporting Club. 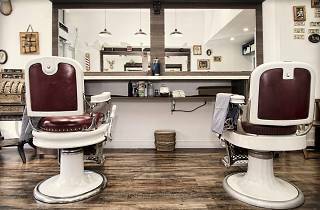 Outfitted with four stations, the minimalist spot is somewhat cramped, but the payoff—retro snips ($48) and expert old-fashioned shaves ($50)—is worth the lack of elbowroom. Book your appointment online or groom spontaneously with a walk-in appointment. Ask for Ruben Aronov, who is well worth booking in advance. And afterward, hit the apothecary-style boutique, which stocks elegant grooming products such as Marvis Italian toothpaste ($12 for 75 ml.) and Ursa Major Stellar Shave Cream ($26). 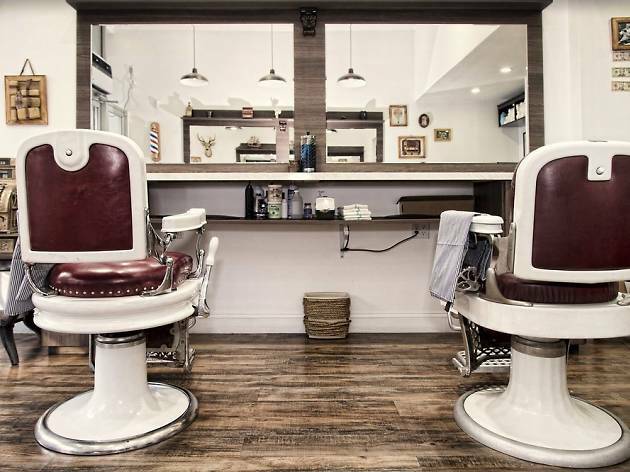 Placing equal emphasis on quality service and vintage decor, this pair of retro Brooklyn barbershops is leagues above your usual hipster haircut spot. Like its sister salon in Williamsburg, the original offers you complimentary old-fashioned fizzy sodas and Brooklyn Lagers while you wait. 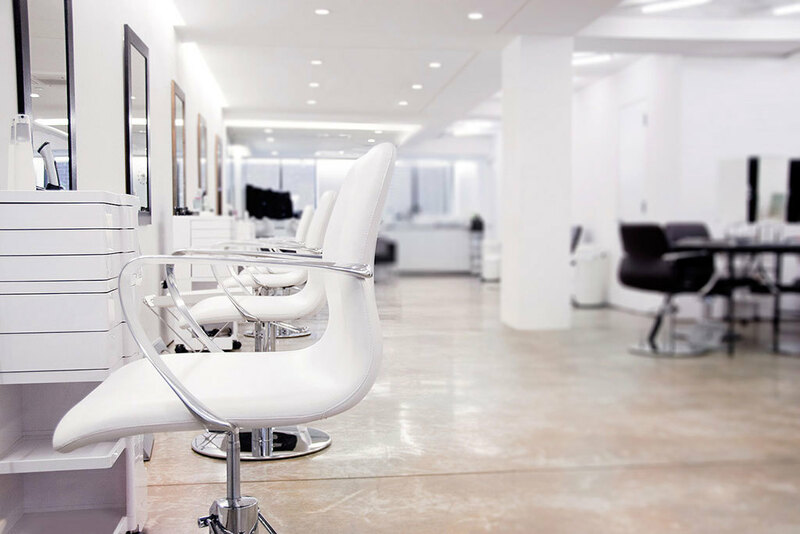 And whether you opt for a simple buzz cut ($30), a mere cleanup ($22) or something a bit more complicated cut-wise ($45), the hairstylists on staff have your head covered. But we suggest the combo platter ($84), a shave-and-a-haircut duo designed to help you keep a clean look that's reasonably priced but still timelessly handsome. 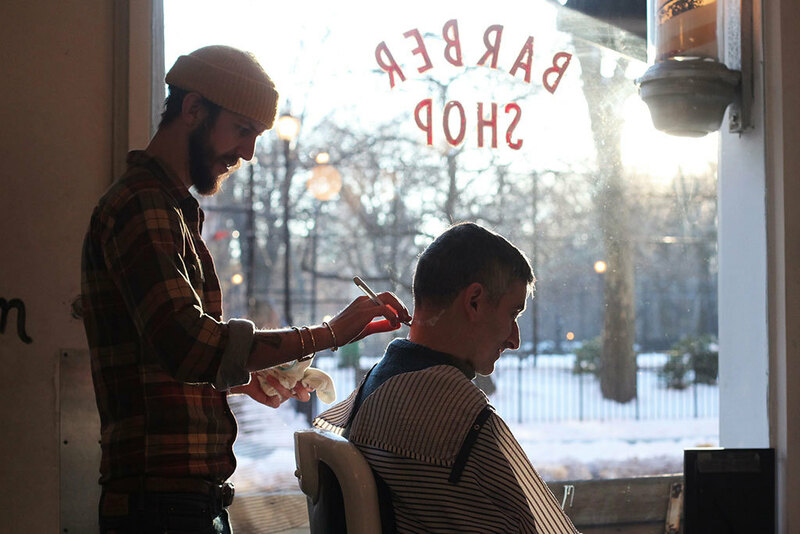 For nearly 20 years, this midtown shop has been a favorite among men who want to freshen up on the go. 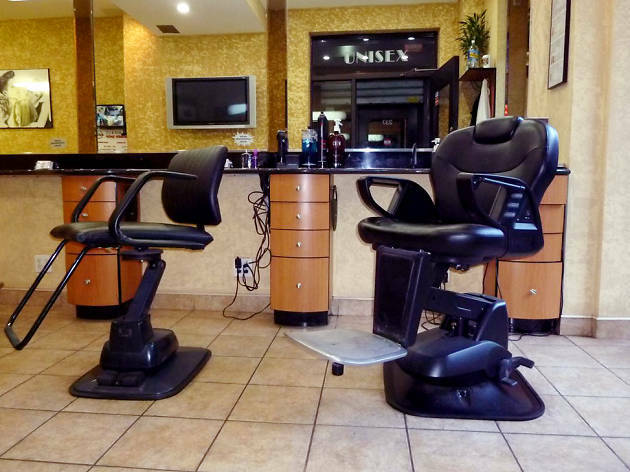 Walk-ins are treated to a skilled batch of barbers who can style any length of hair—including long locks—and can provide a close shave at a very affordable price. 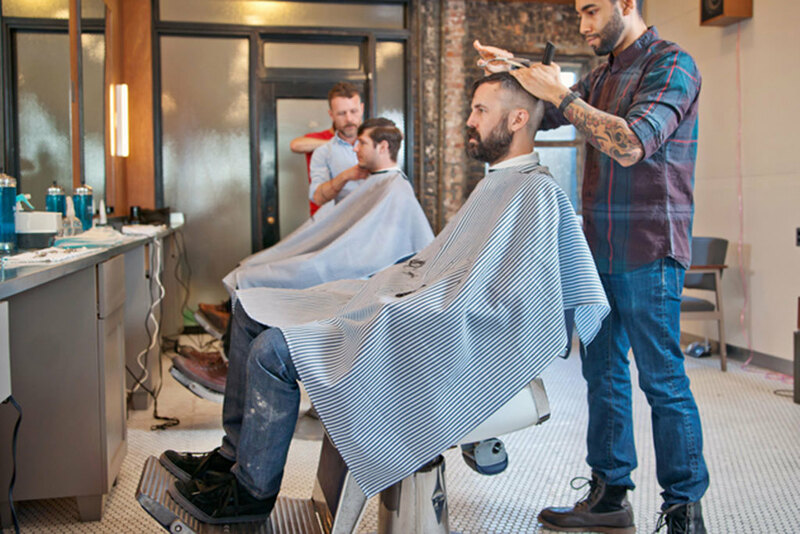 Cuts range from $26 to $30, while beard maintenance is $15. 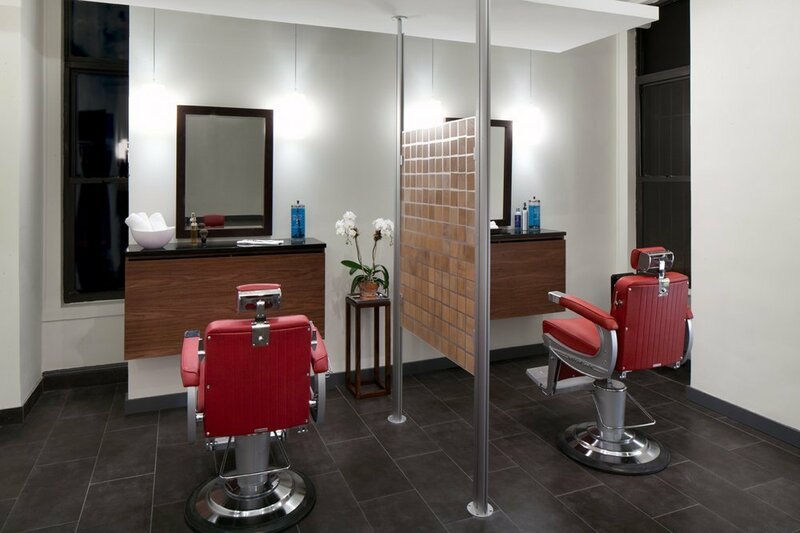 Opt for a close shave with hot towel treatment and a hot oil massage for just $30. Started by three men who were tired of going to women’s hair salons for full treatments, this spot offers head-to-toe care for dudes who want to look good and feel good. 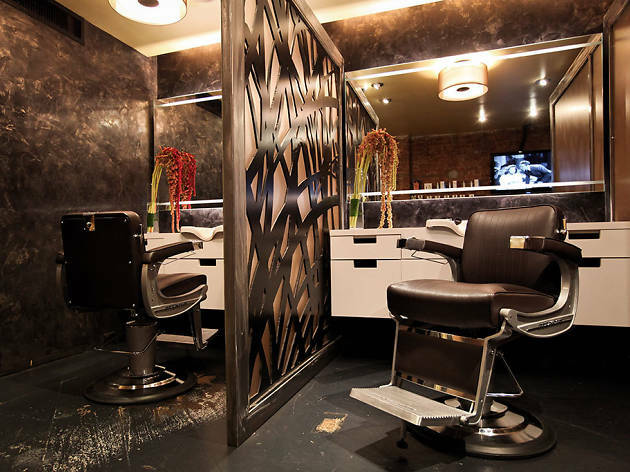 The bi-level midtown spot has multiple televisions and a full liquor bar, and the barber seats are in stalls so you can primp in privacy. Along with the de rigueur haircut ($75) and shave ($60), men can also improve their handshakes with a polish-free buff manicure ($28) and sooth those tired, dry feet with a pedicure ($55). 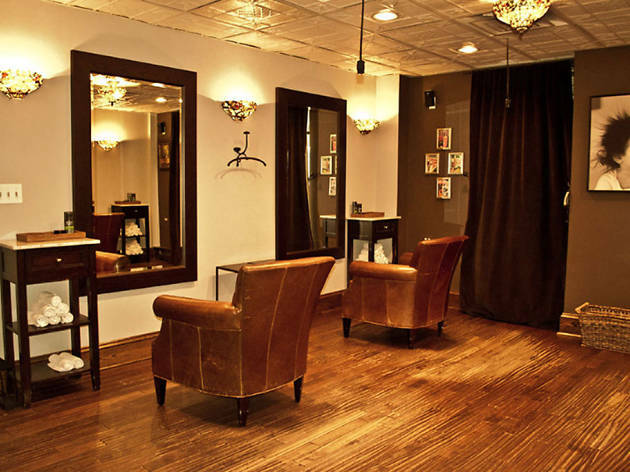 For a face as sparkling fresh as your hair, opt for the facial as well ($75 to $155). Whether you want to mix it up with an edgy new style or just want a look that will bring out your best facial features, the stylists at Made Men are ready to guide you on your hair journey. 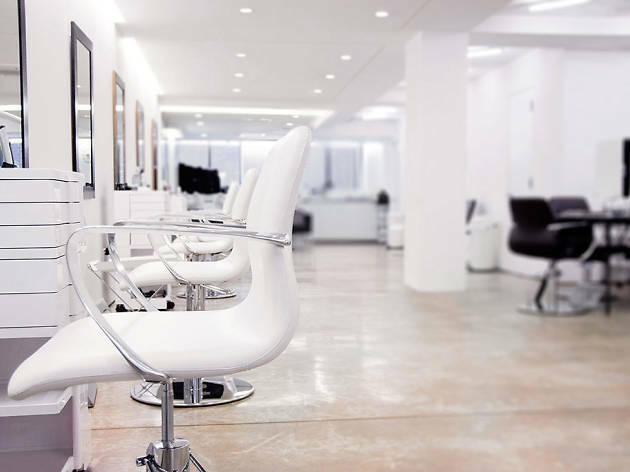 Each cut ($25) begins with a consultation with one of the stylists, where you discuss your lifestyle—how much time and effort you want to dedicate to taking care of your hair—and the expert examines the shape of your face and head to determine the most flattering cut. 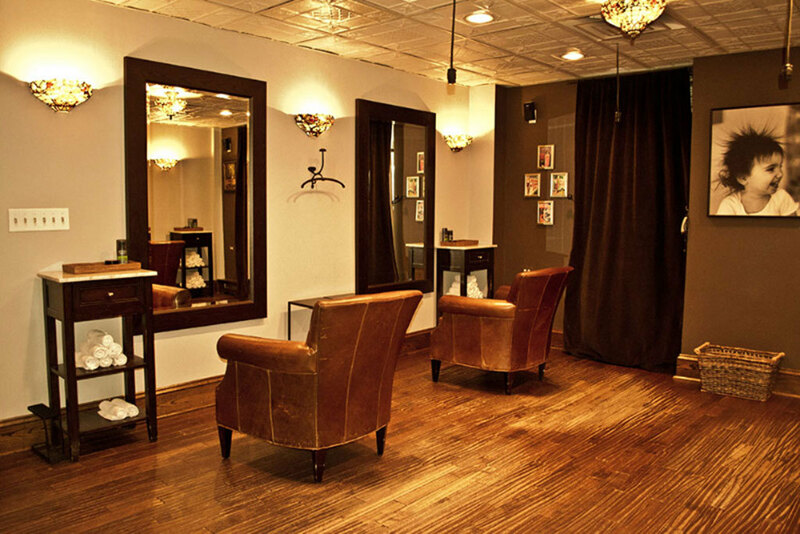 For the full experience, opt for the Cut & Shave ($50) or a deep-tissue close shave and massage ($45). If you really want to go bold, color treatments start at $40. Tired of plastic razors? Not quite man enough to give yourself a Crocodile Dundee–style hunting-knife shaving? 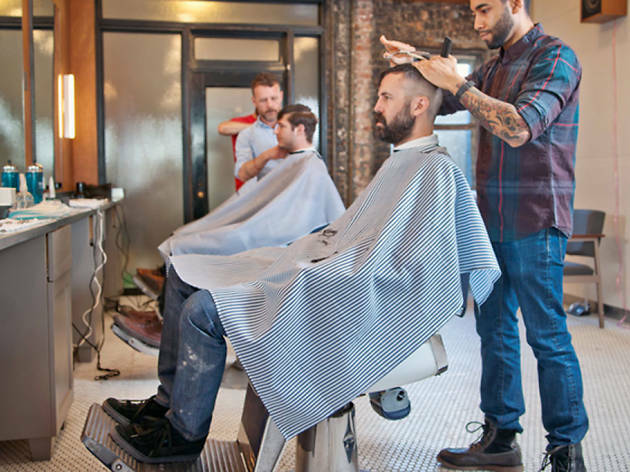 It’s time to put down the bottle of shaving cream and join the barbershop club­.